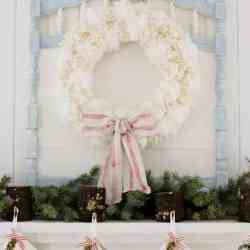 I’m excited to be joining my decorating peeps today for Christmas Mantels around America!! You see, I went 8 years of our married life without a single mantel to decorate . . . and I had no idea what I was missing. Then we moved into our current home 3 years ago, which happens to have a massive mantel. 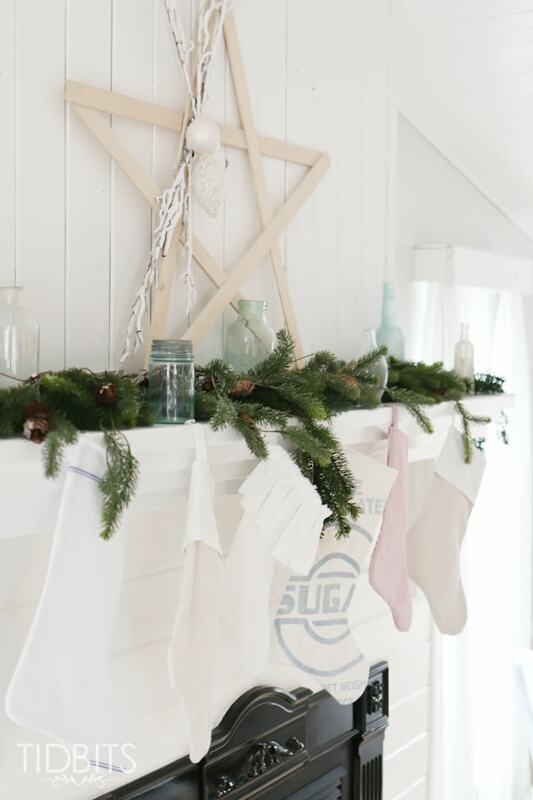 All I could think about when we signed over our life on those mortgage papers, was how excited I was to finally have somewhere to hang the stockings (and how much white paint I would be needing – which I didn’t tell my husband at the time). 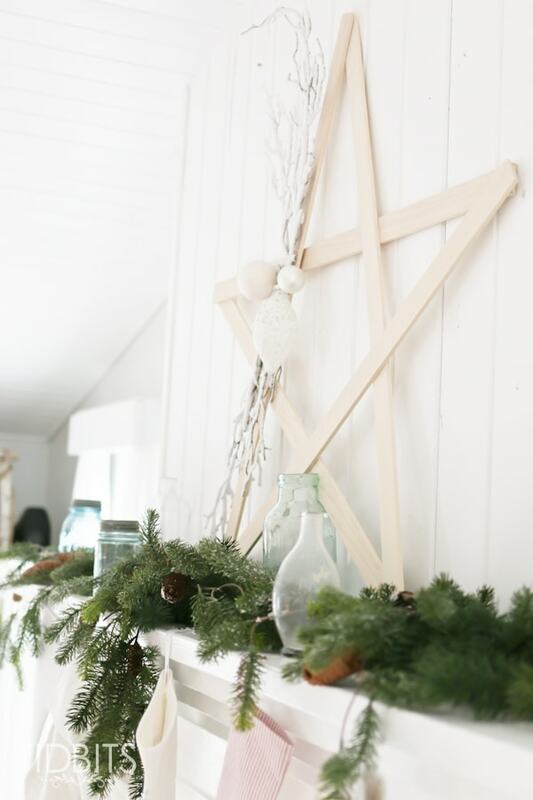 Little did I know how tricky a mantel can be when it comes to decorating. Anyone else have this problem? I mean, it is generally the focal point of a room and the first thing people see. The pressure to put your best mantel forward can be a real struggle! 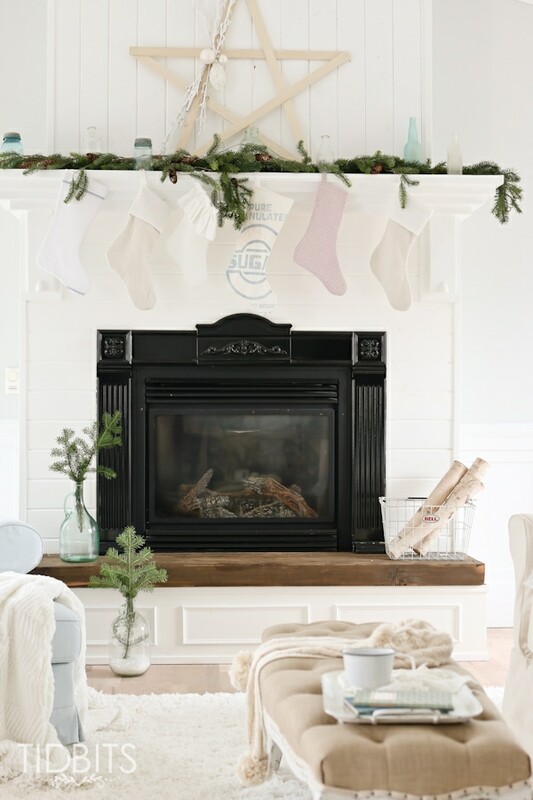 Lucky for you and I, there are loads of bloggers from all over the nation today giving us ideas for how to dress our precious mantels for the season. 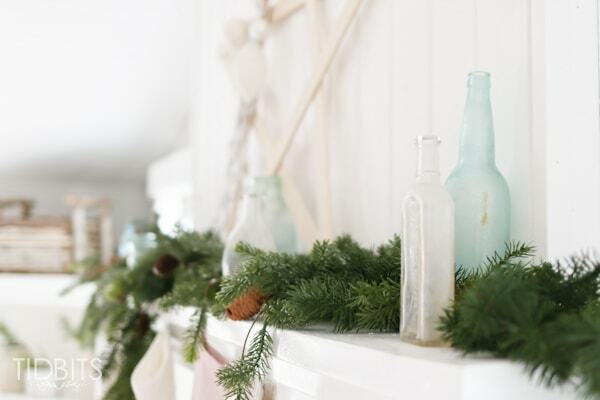 Whether your mantel is the real deal, a makeshift mantel or even just a shelf, you are sure to come away with plenty of ideas to nail it. 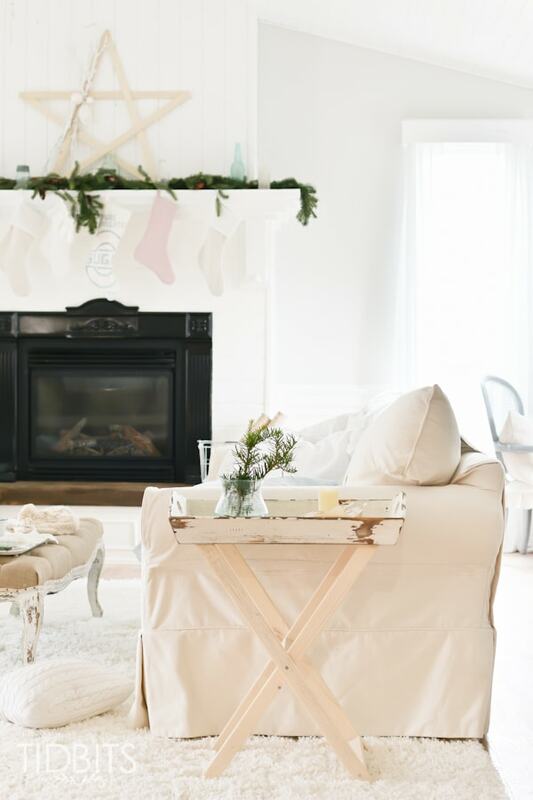 My mantel has been through many seasons of change, and the one thing I’ve learned from mantel decorating is to keep it as simple as possible, without being too dull. 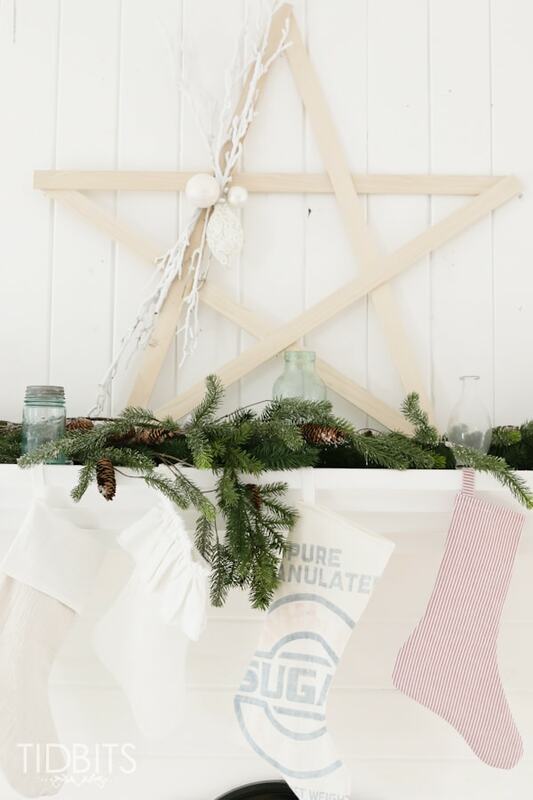 So this Christmas I simply added some fresh looking garland, a few antique jars here and there, and a large stick star, which I’ll show you how easy it is to make in just a minute. And of course . . . the stockings. 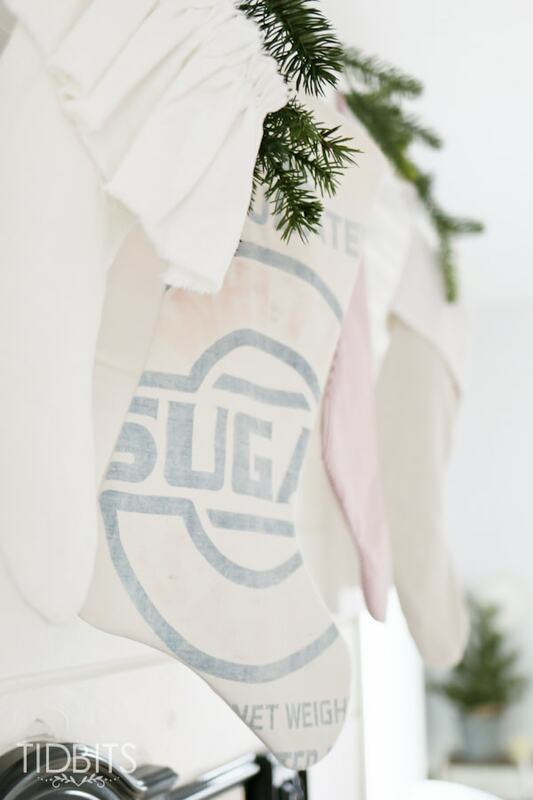 Of which I mixed and matched and sewed a couple more from hand towels, old sugar bags, linen and drop cloth. Basically whatever I could scrounge up in my sewing room. 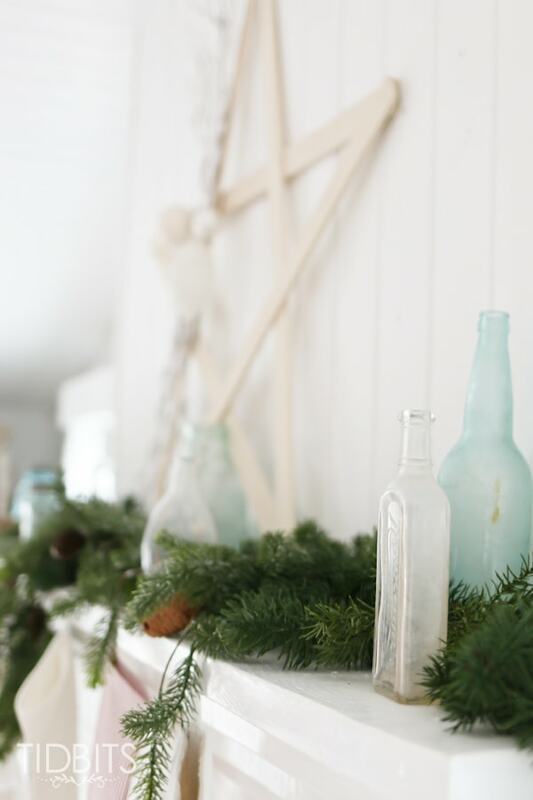 I’ve also learned through all my mantel sprucing’s, it is crucial to make sure the mantel decor has common elements found in the room as a whole. I’m not quite ready to show you this room in it’s entirety yet (be sure to join me Wednesday as I jump into the popular Jeniffer Rizzo Holiday Housewalk), but I want you to notice in this sneak peak below, how the diagonal and color of the legs on the side table are repeated in the star on the mantel. I also placed an aqua jar with greenery on the side table to lead the eye smoothly to the aqua jars on the mantel surrounded by greenery. I’m going to sum all that up by saying, just have fun with your mantels! Don’t be afraid to switch around (daily if needed) until it feels just right to you. 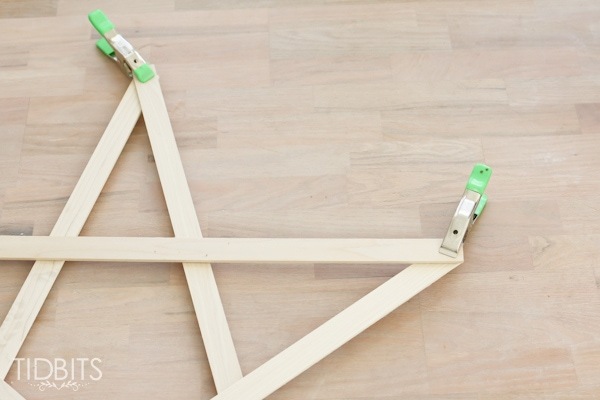 If you want to make your own stick star, it really is the easiest thing – no husband or power tools needed! The type of wood you get all depends on the size you want. I found the craft wood section at Home Depot and found the size that suited me. 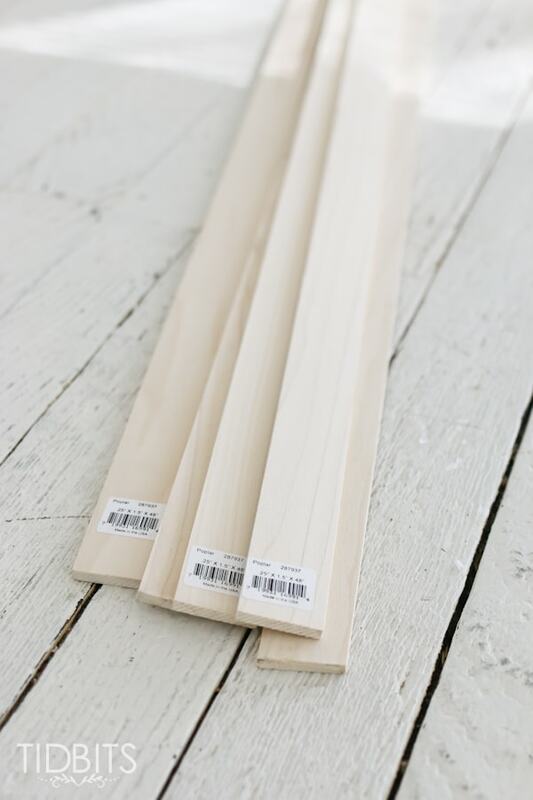 I’ve also seen people use paint stir sticks, so this can be a very affordable project. Home Depot will cut your wood to any size you need it, so if you don’t have the ability to do that at home, check with the friendly Home Depot workers first. I chose to pre-stain my wood pieces first. I used a white wash pickling stain, just to lighten the wood color without taking away the pretty wood grain. I use this stain A LOT! 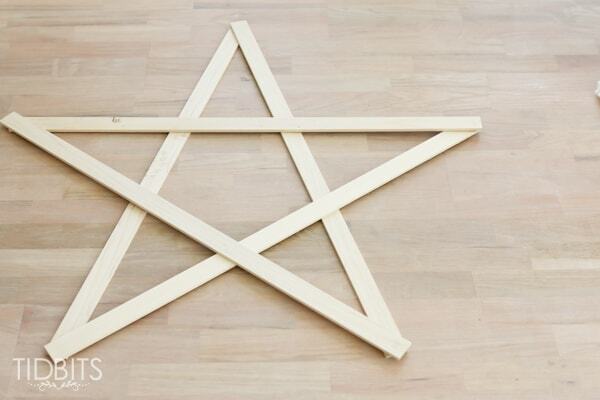 Once the stain was dry, I played around with the sticks on the floor until I had the desired star shape. With a hot glue gun, I carefully glued the ends together and held them in place with some wood clamps until it was dry. The clamps came in super handy so my corners didn’t move around while I worked on the other ones. But I’m certain you can make this star without the clamps as well. Then I added some frosted craft branches and ornaments to one side of the star for a little more interest. 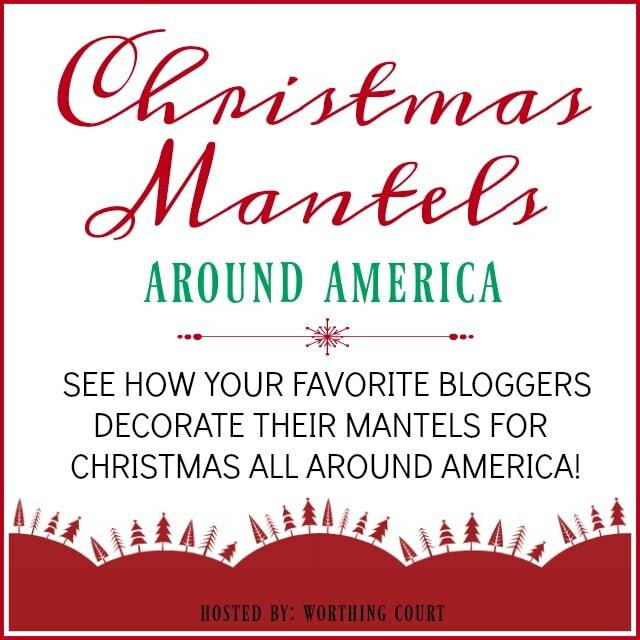 Now be sure to soak up all the inspiration today, and click around to all the other mantels in America! Big thanks goes to Suzy from Worthing Court for rounding us all up. It is no easy task to organize such a wonderful collaboration. 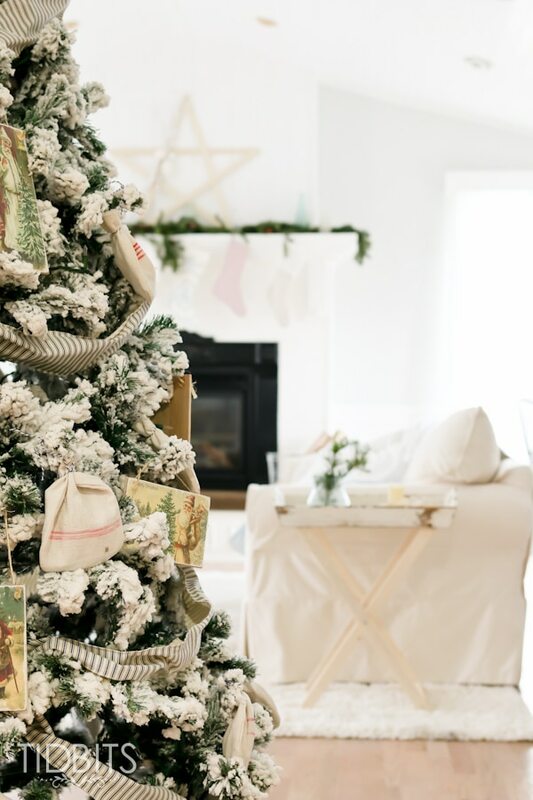 Enjoy and be sure to check back on Wednesday as I will be sharing my full Christmas home tour. New theme this year (wink). 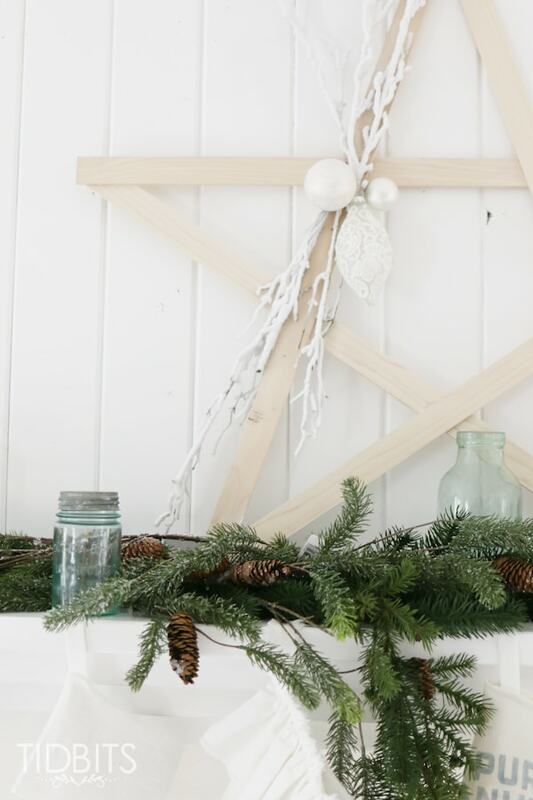 My mantel is a challenge- it is too high above the fireplace, a big ugly chunk of wood, against way too much brick my husband won’t let me paint BUT I have a plan. It just might be a year before I can get it done…in the meantime I’m making the best of it. Hey, at least I have one! Love how calm yours looks. Can’t wait for the rest of your tour! This looks awesome, Cami! And thanks for telling us about how you draw your eye into the room. So creative how you made that star! I think you figured out exactly what your mantel needs, Cami, because it’s just wonderful! The star is just right and I love the stockings that you made. Great job!